How are you all keeping? Well yesterday was a busy day here at the NEC, thank you to everyone who stopped and said hello. 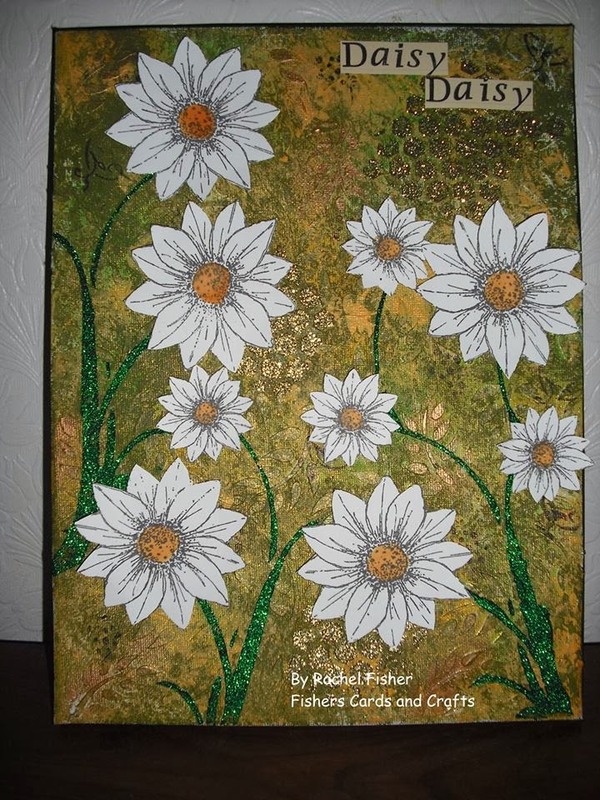 Today we are sharing with you Rachel's beautiful Canvas. Isn't this an interesting piece of artwork? You can clearly see the dimension Rachel has achieved by using Sparkle Medium. Why not hop along to Rachel's Blog and leave a comment. We are off to the NEC today to get set up for the 4 day crafting show. Time sure is marching on it doesn't seem two minutes since we where there in November. We are on stand A32 if you are going please do stop and say hello! Today we are sharing another creation from Mags another of our talented design team members. This is Mags inspiration project for our current challenge "Imagination in Bloom". Why not hop on over and leave Mags a comment. The stamps you can purchase here at Imagination Crafts. We hope you are all keeping well and have had a lovely weekend. We had a great weekend at the GPNE Harrogate show. Thank you to everyone who stopped by to watch the demonstrations and to say hello. 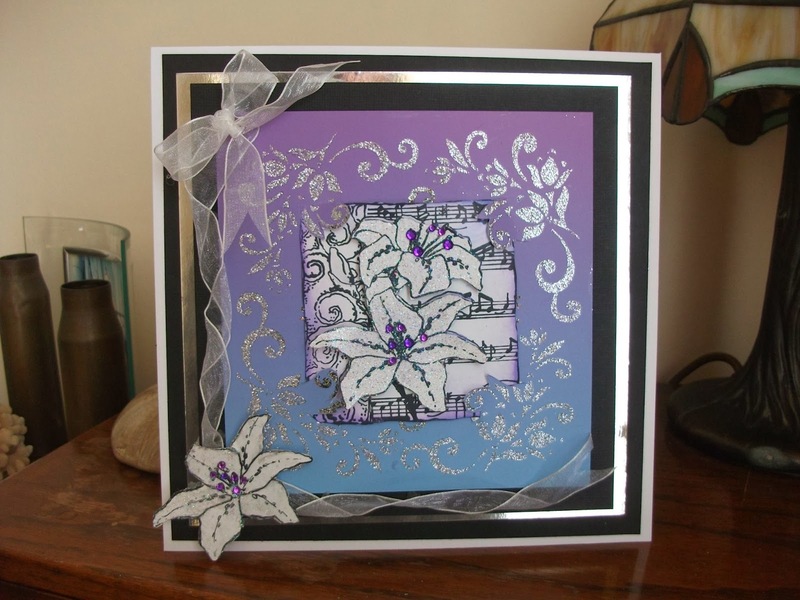 Today we are showing you this beautiful card that Christine has made. 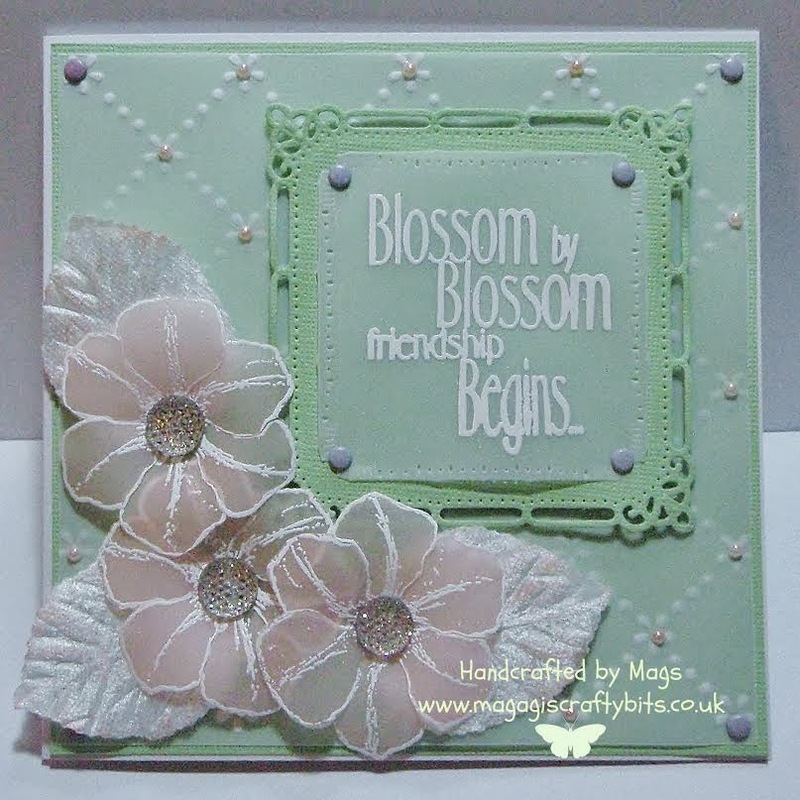 She has made tutorial over on her blog on how she created this card. She has used products from Imagination Crafts.